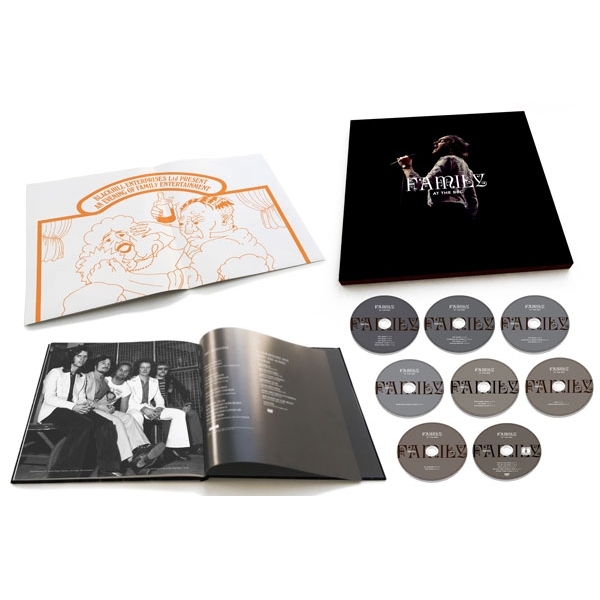 These sessions feature across seven CDs of audio and this new deluxe set – packaged in a 48-page hardcover book – is the most comprehensive collection of these BBC sessions and indeed boasts 20 previously unreleased recordings including new versions of 'Scene Through The Eye Of A Lens', 'Old Songs New Songs' and 'The Weaver's Answer'. 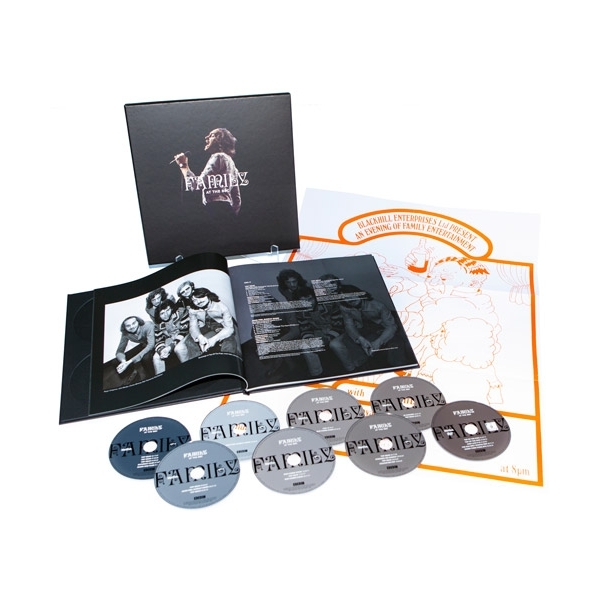 All the audio has been newly remastered for this release. The eighth and final disc is a DVD (region free, NTSC) which offers nine performances from 'The Old Grey Whistle Test', 'Top of the Pops' and a forgotten ITV show called 'Doing Their Thing'. 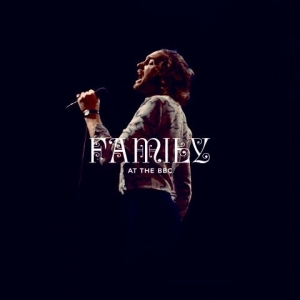 The book features John Peel interviews, new sleeve notes, and rare photos and this set includes a rare poster replica promoting second album Family Entertainment. The hardcover book slots neatly into an outer slipcase. 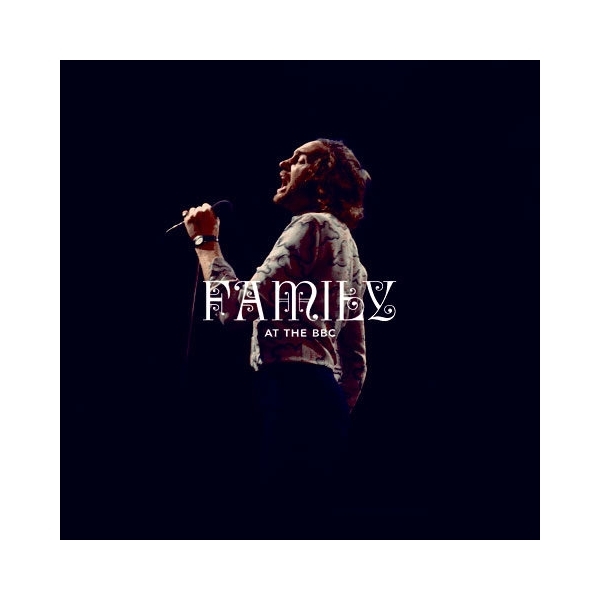 Family at the BBC is strictly limited to 2000 copies for the world and is released by Madfish on 7 December 2018.